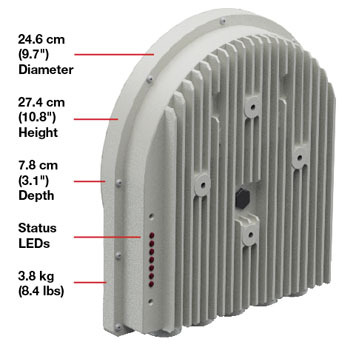 Housed in a compact enclosure that’s easy to deploy, the V10g utilizes the license-free V-Band spectrum to cost-effectively meet the ever-expanding needs of today’s bandwidth-hungry networks. It provides 500 MHz to 2 GHz channel bandwidth, advanced intelligence, and comprehensive Ethernet switching functionality. 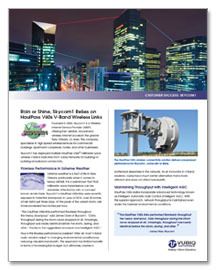 Integrated low-latency forward error correction (< 10 μs) assures data transmission reliability. And our economic price point and pain-free deployment result in immediate ROI. 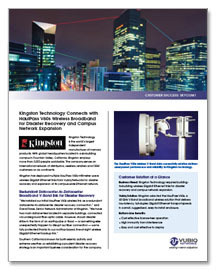 Like Wi-Fi or Bluetooth, V-Band equipment can be deployed virtually anywhere without licensing by regulatory agencies. This allows deployment of HaulPass V10g wireless radios as needed in enterprise, campus, ISP, private and carrier networks. V-Band provides many inherent benefits, including interference immunity, deployment flexibility, and easy network reconfiguration. This saves enterprises, network operators and mobile carriers thousands of dollars in fiber trenching, cable installation, and ongoing communications charges. 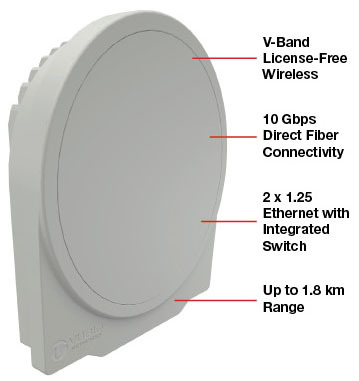 Read about V-Band. Incorporating our patented Modular Integrated Waveguide technology, the V10g is a future-proof solution that meets the high-speed wireless needs of today and the future. 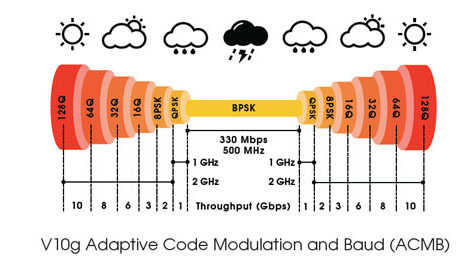 And with our Adaptive Code Modulation and Baud (ACMB), the code rate, modulation and baud are instantly set in real time, resulting in hitless adjustment to link conditions. This maintains critical traffic transport even in the most adverse weather conditions. 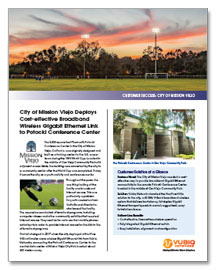 The Vubiq team has decades of experience developing and deploying V-Band technology. We’re making wireless broadband a cost-effective solution for the advanced connectivity requirements of today’s modern global networks. 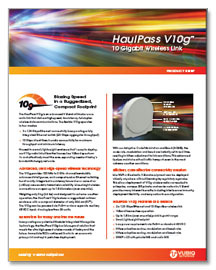 Read about HaulPass V10g applications.